Today was a major work day in the garden. 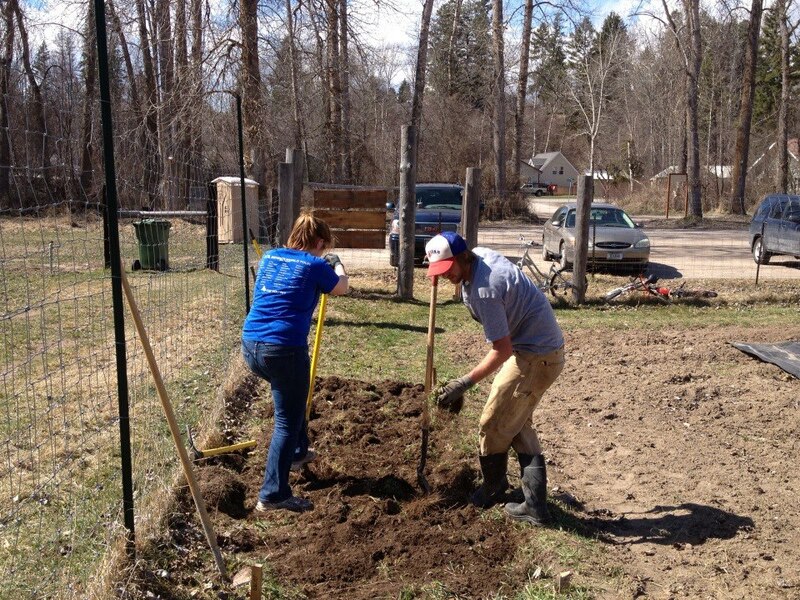 We had kids from the Center for Restorative Youth Justice complete some service hours in the garden. The amount of work they accomplished in four hours is simply amazing…it would have taken Naomi and me days to do what they did. Thank you to Anders and Keara from CRYJ for organizing the kids and providing positive support and encouragement. Anders and Keara…working long after the last of the kids they were supervising had gone home. 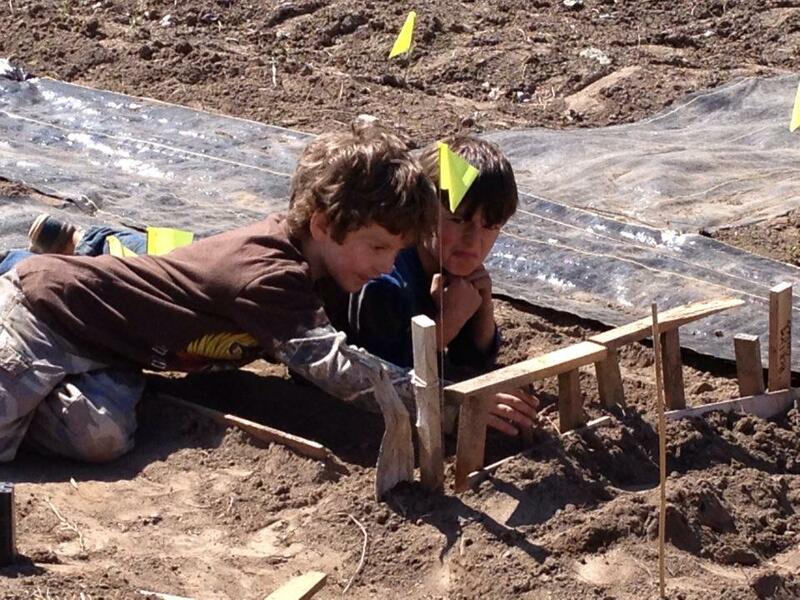 Together, we set two raised beds, and lined the bottoms of them with cardboard. 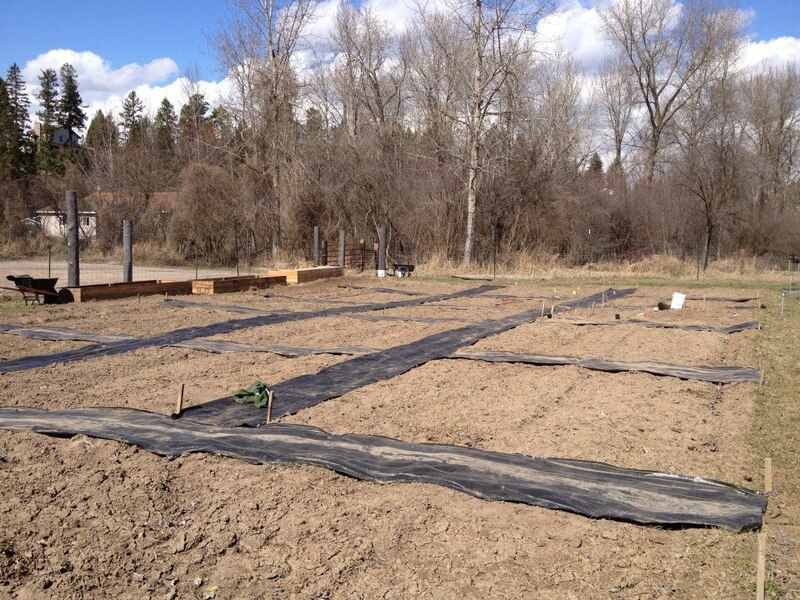 We smoothed out seven paths between plots, put the dirt in the raised beds, and laid black landscaping fabric. 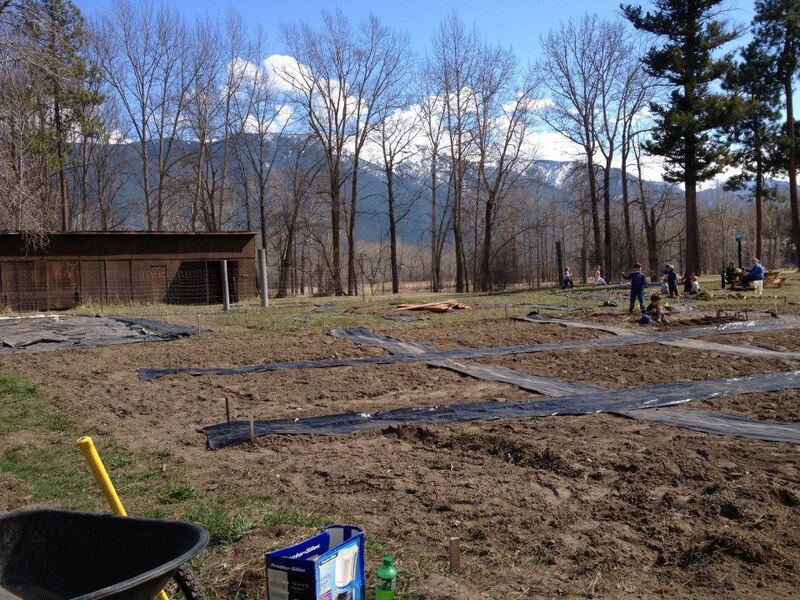 The kids smoothed out the land under where the greenhouse and herb garden will go, and laid landscaping fabric . 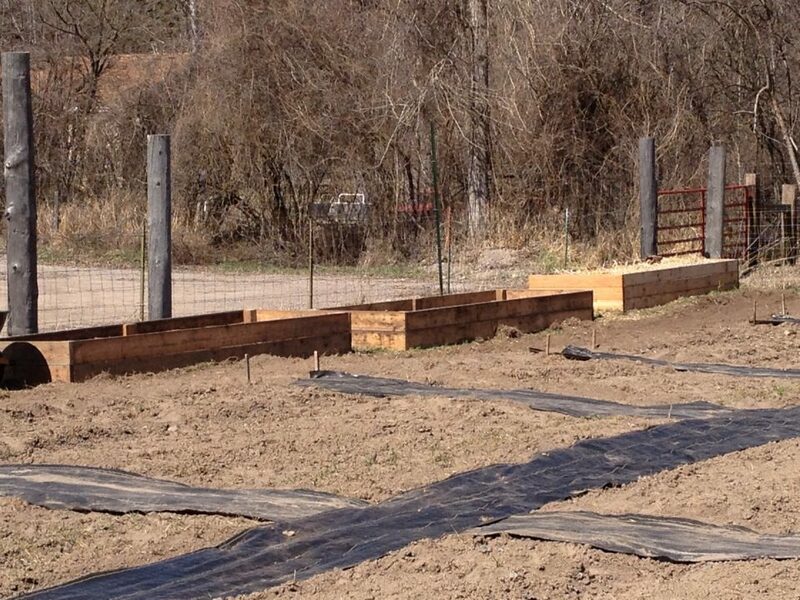 Our raised beds, nearly ready for onions, shallots and leeks. The community garden is really starting to come together. Today, a nice man named Marshall walked by and inquired about the garden and available plots. We are technically full, but a few of us have more than one plot and are prepared to give them up for newcomers. Also, Naomi found a few more spots for half and irregularly shaped plots. I spoke with two nice ladies, Mary and Lucy, about the garden as I was leaving today, and I am so appreciative of their encouragement and kind words. 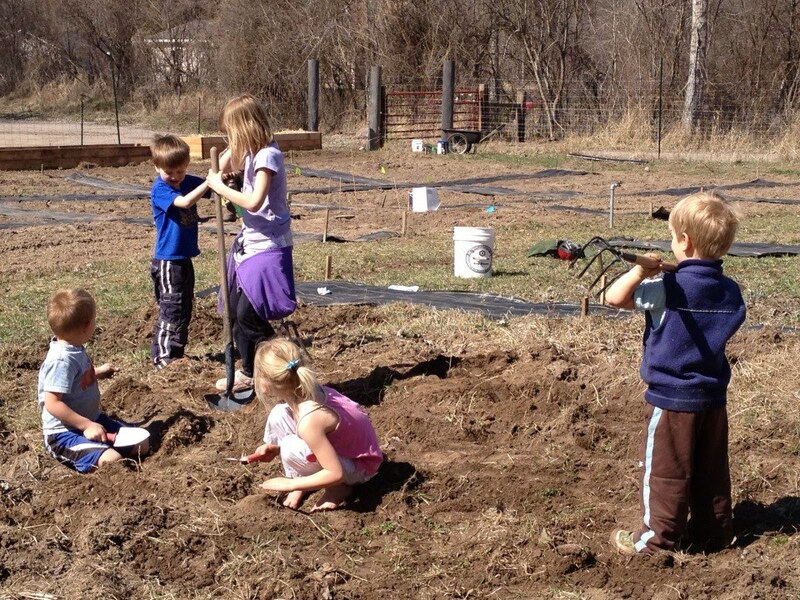 We had two plot holders stop by, as well as a former plot holder, and their children played merrily in garden while we worked and chatted–discovering earthworms, ladybugs and the joy of digging in the dirt. 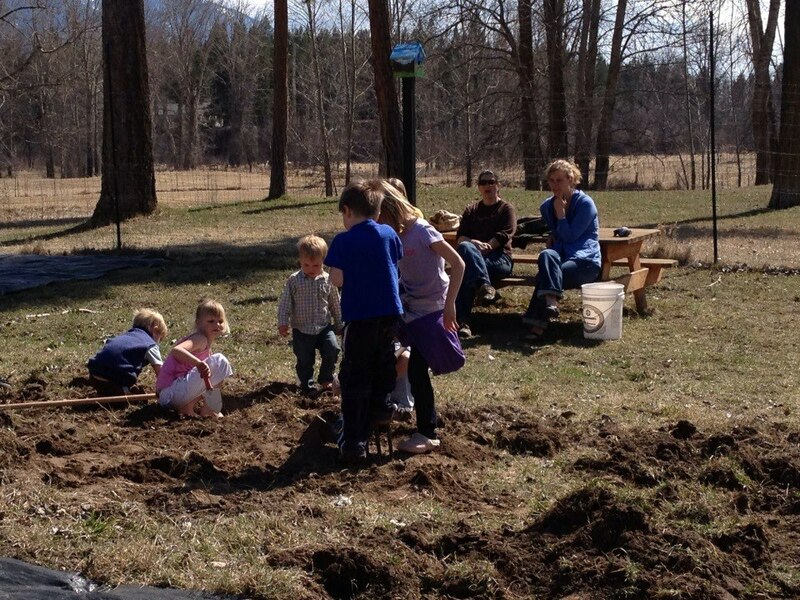 It was truly a wonderful day–exactly what a community garden is meant to be. It was filled with laughing children, chatting adults, and hard, gratifying work. Three years ago Naomi and her friend Connie put in motion the creation of our community garden. I joined in, along with others. Today, we have seen the fruits of our labor. A fully reserved garden, happy plot holders, and youths reconnecting with the community and the land. This is what a community garden should be. This is what our community garden is becoming. Lucy stopped by today with her kids to check out the garden. Even though she wasn’t dressed for it, she couldn’t resist digging into her plot! Thank you to everyone who helped make it to this point! 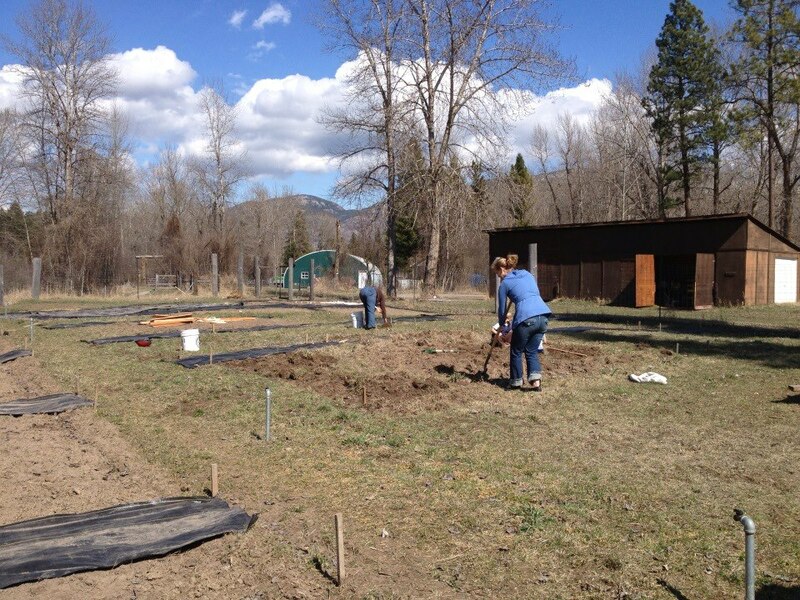 This entry was posted in Columbia Falls Community Garden, Gardening and tagged Columbia Falls Community Garden, community garden, garden, raised bed garden, Restorative Youth Justice. Bookmark the permalink.